Hello friends! I hope you had a good weekend. I spent most of my weekend hanging around the house, updating my Shop, and crafting up a storm in preparation for the gift-giving and holiday season. In today's post, I'm going to share with you my top ten recommended gift's to be giving for this season being sold by small-ish online businesses such as my own. Slightly biased of my own creations, with good reason 😉, the first five items featured on this list can be found for sale in my shop, whereas after that the rest of the items come from other highly trusted, recommended online businesses. Enjoy this post and get shopping! This Occupied Optimist wants to share the best of my creative inspirations, tools, and crafting supplies with you. 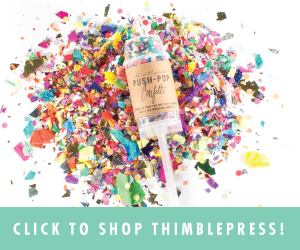 This is the perfect gift for all crafting, scrapbooking, and stationery enthusiasts! Some things you may find in your grab bag are/could be: trending writing instruments, embellishments, stickers, and watercolor templates. A handful of assorted handmade cards designed by me are guaranteed to be found in your grab bag every time. Just a few things to get you inspired! Nearly a 50 dollar value. A one-time grab bag is 35 $+ shipping, or you may choose the option of a monthly subscription of 25$ per month+shipping. You can be sure each grab bag is stuffed with only the most fun and unique assorted surprises to up your journaling and/or stationary and letter-writing game! South Africa Inspired, a lightweight durable wire is shaped into the letter of your choosing and is decorated with colorful glistening seed beads. Order an initial or even a sentimental word for yourself or a friend. Starting at $15 per piece. Home is where the heart is. Here is a charming patriotic burlap Christmas ornament in the shape of the State of your choosing. Perfect for yourself or as a gift for someone you love. These skirts are all the rage these days. For the ballerinas in your life, this is the perfect gift. Cheaper than most competing brands this simple yet flattering ballet skirt is being sold at only $25 and is made to order, the color of your choice! Whether she is a ballerina herself, or just a lover of ballet, who can resist the adorable face of this cute cuddle buddy! Her details feature a little 'tie-on' tulle tutu, a fluffy soft tail, rosy cheeks, eyelashes, and a beautifully beaded crown. She fits in the palm of your hand. Small parts may be hazardous to small children. She is stuffed with a synthetic non-allergenic filling. Make some 'Bunny' happy with this little ballerina! She is made to order, alternate preferred colors may be requested. Make the crafter in your life a very happy camper by giving the gift of a yarn bowl which assists in keeping yarn all straight, untangled, and organized. "Ornate, geometric carvings make these wooden yarn bowls perfect for those who want to add a touch of elegance while they are completing their projects. 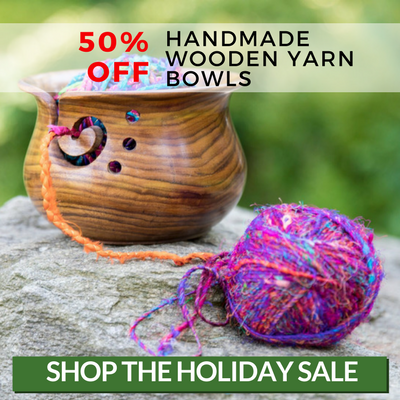 Each and every one of these yarn bowls are handmade by talented artisans based in India and Nepal." 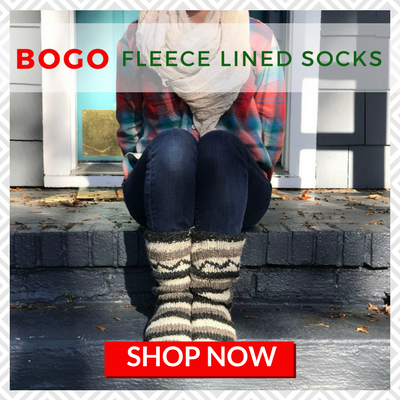 Who doesn't love a pair, OR TWO, of warm cozy socks in the winter time? I have a couple of swell bottles myself and I absolutely love them! I haven't met a person who hasn't! 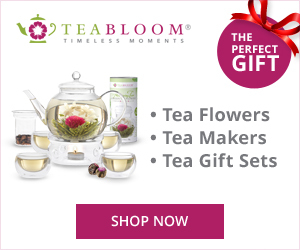 For the tea lovers in your life, and you know I'm one of them, I recommend you check out this company providing only the best, highest quality of all things tea. NOTE: Featured products in this post are sponsored BUT are presented in an honest light based on my genuine choice, preference, and opinions. PS: This post contains affiliate links. Clicking links may lead me to receive a small commission. Thanks for your Support!